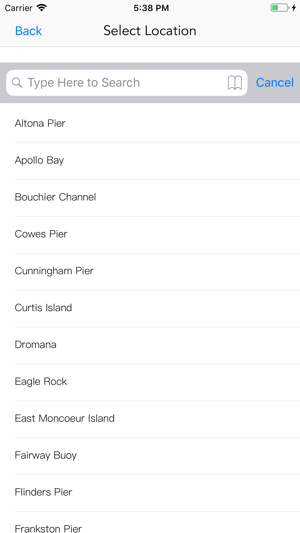 Victoria Tide Times - Tidal, Sunrise and Sunset Information for 49 locations in Victoria. Information for your favourite Beach, River or Fishing Spot. Victoria is a great place to live or holiday. 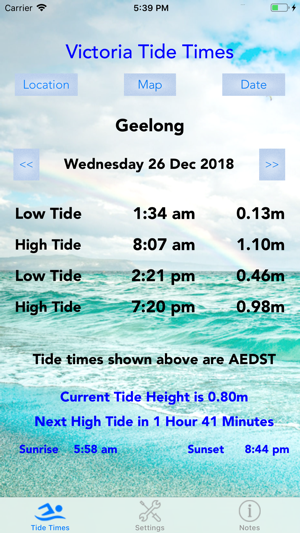 With this application you can track the tidal information for the area as it shows all the low and high tide times for the current day, along with the tide heights. Shown is the current tide height for the location and the time to the next tide. You can also select future dates to make it easier to plan a successful beach day or fishing trip. 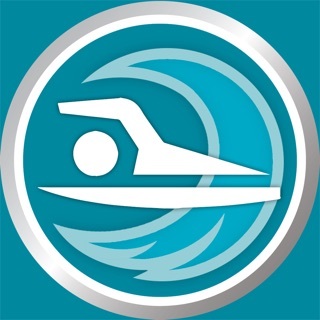 No internet access is required, so if you have no coverage on your device you can still check the tides. 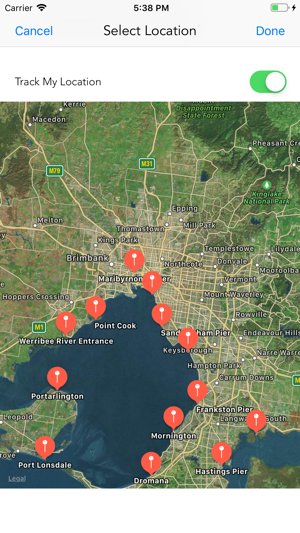 All major locations in Victoria are covered including Melbourne, Maribyrnong River, River Yarra, St Kilda Pier, Altona Pier, Sandringham Pier, Frankston Pier, Portarlington, Mornington, Dromana, Port Phillip Heads, Port Welshpool, Rabbit Island, Hogan Island, Curtis Island, Waratah Bay, Apollo Bay, Seal Bay King Island, Portland, Port Campbell, Warrnambool, Port Fairy, Western Port, Fairway Buoy, Flinders Pier, Newhaven Pier, Eagle Rock, Tooradin Pier, Geelong, Point Wilson, Point Henry, Cunningham Pier & Lakes Entrance. Added support for iPhone X,XR,XS & XSMax devices.